Warm lows and clear highs, the way Tosin Abasi likes it. 8-string guitars are Tosin Abasi's primary instruments, but he's no stranger to 7-string guitars, and the idea of the Ionizer 7 came up soon after the Ionizer 8 left the drawing board. The Ionizer 7 Neck Model has warm lows and clear highs, and performs like a classic single-coil in split mode. The Ionizer 7 isn't simply the 7-string version of the Ionizer 8. The highs are a little brighter and the lows are a little deeper, to bring out the specific frequency response of the 7-string. Like the Ionizer 8, the single-coil sound is as important as the series' humbucking sound, and the split mode is clear and open, with highs that are bright but not thin. 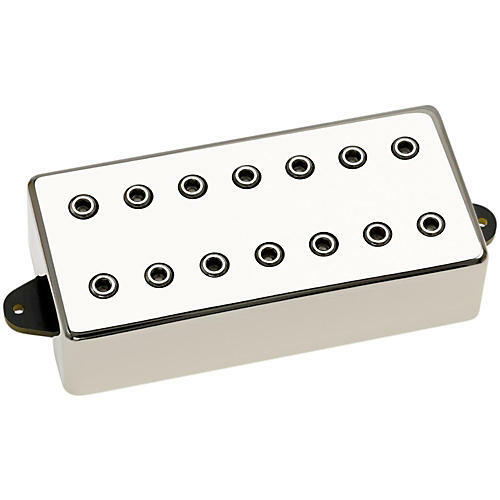 Ionize your sound with these powerful pickups. Order today.